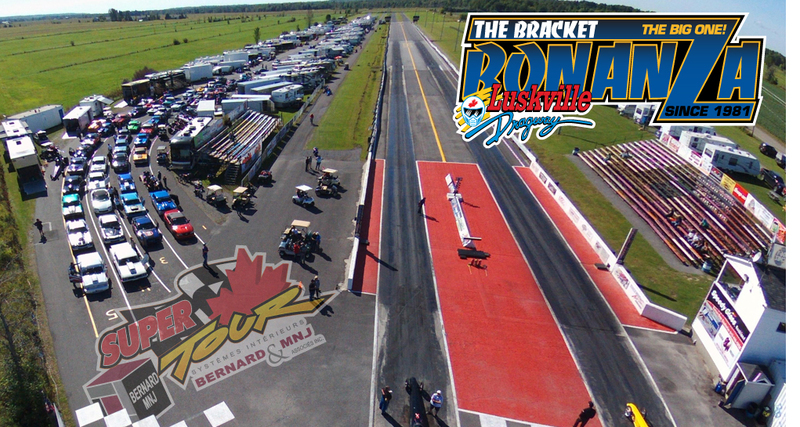 The Bernard MNJ Super Tour Luskville presented by Terrassement Jerome Landscaping in collaboration with Ogilvie Auto & Fleet Service at Luskville Dragway is coming up this weekend. The event will be held as part of the 38th annual of the prestigious W.O Stinton Bracket Bonanza. 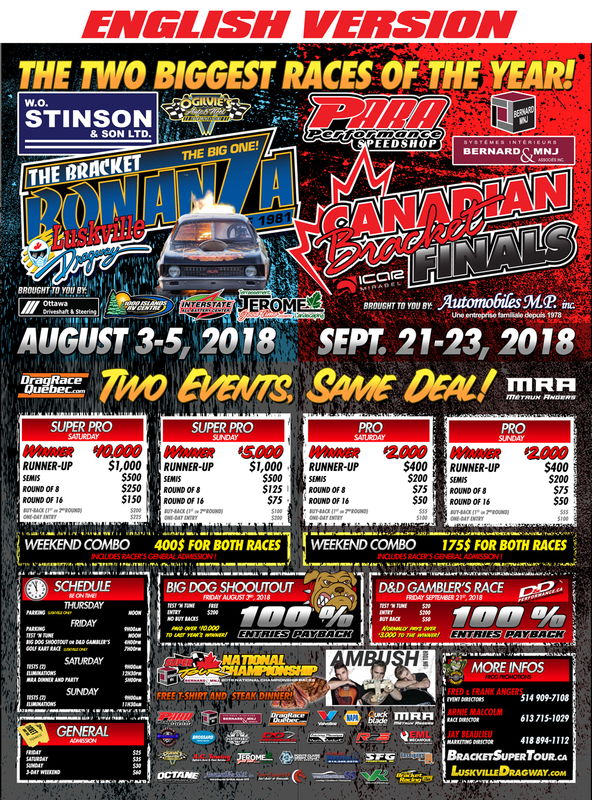 This weekend, the best Canadian and American Bracket Racers will be competing for $10,000 and $5,000 paydays in Super Pro and $ 2,000 each day in Pro. Do not miss the Big Dog Shootout presented by D & D Performance Friday evening. The winning formula of the Super Tour events mixed with the prestige of Bracket Bonanza will offer an epic experience to the attendies with steak dinner and the Ambush group on Saturday night, and do not forget the famous golf cart race friday night after the Big Dog Shootout. All the giveaways for the Super Tour members will be distributed this weekend. Bounty Bonus, long distance award, hard luck raffle, King’s Grill and the MRA party. Parking starts Thursday at noon and all day Friday starting at 8am. Time runs for the Big Dog Shootout will start at 12pm and eliminations at 3pm. Saturday time runs will take place from 9am and eliminations at 1pm. Same formula for Sunday. Admission is $ 15 on Friday, $ 35 per day Saturday and Sunday or $ 60 for the full weekend.